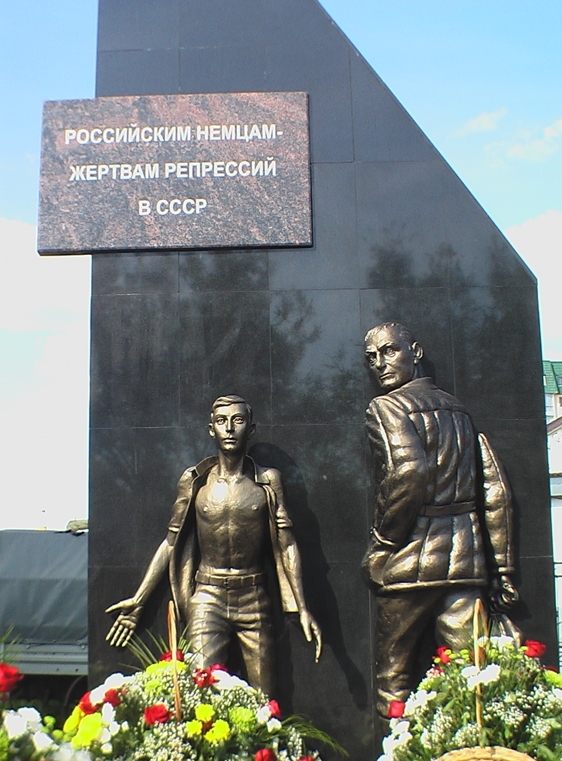 In recent years, a few memorials have been erected in Russia to remember those who suffered the deportation and repression that followed. 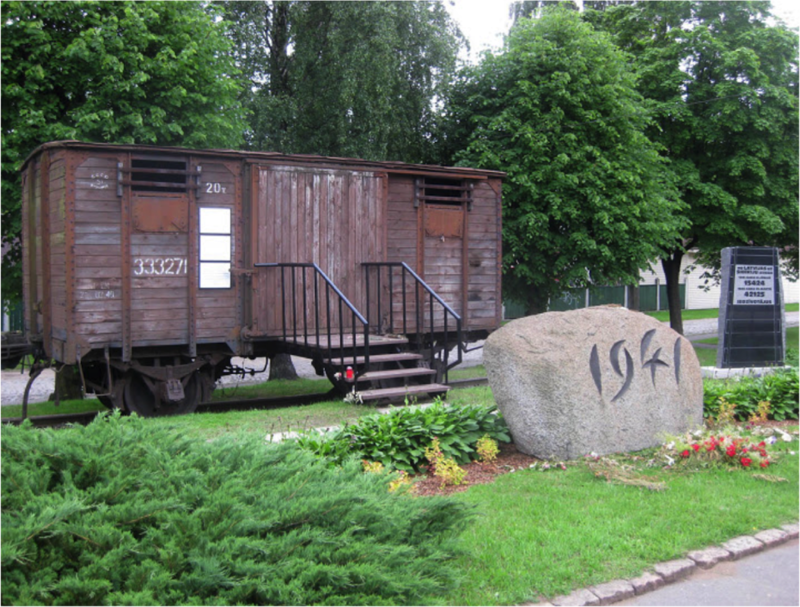 On August 26, 2011, recognizing the 70th anniversary of the deportation of the ethnic Germans, a monument to the "Russian-German Victims of Repression in the Soviet Union" was dedicated in the city of Engels, Russia, near the State Historical Archive of the Volga Germans. A monument to the Volga Germans adjacent to the Volga German archive in Engels, Russia. The monument was dedicated in 2011 on the 60th anniversary of the deportation. The figures are a German-Russian man and boy, standing in front of a black vertical plane - the boundary between life before and after the deportation. Photograph courtesy of Alexander Schreiber. Memorial in Riga to remember the deported peoples of the Soviet Union. Source unknown. Despite efforts to recognize the deportation, no compensation has been provided to the victims of these criminal acts and the broader world knows little about their fate. Organizations such as the Jugendring der Russlandeutschen strive to keep the culture of the German Russians alive with young people. The video below was funded with assistance from the German government and portrays a visual connection between today and the past.